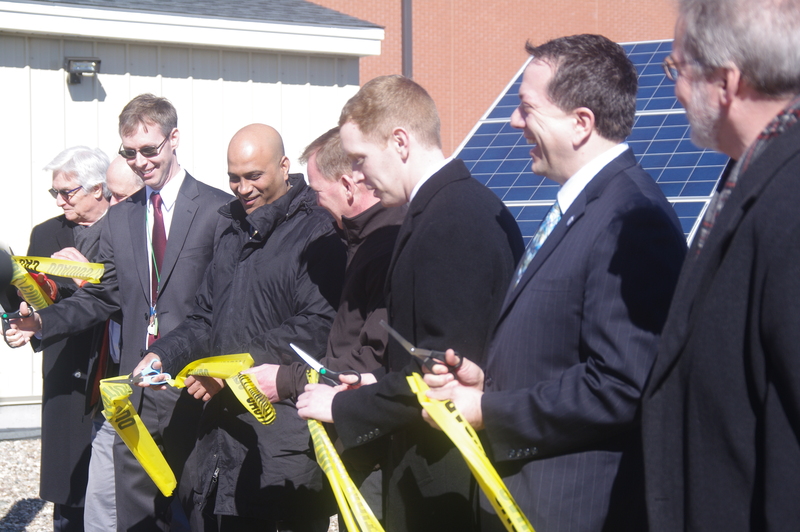 The Massachusetts Green High Performance Computing Center (MGHPCC), its member universities and the City of Holyoke launched the Mass Net Zero Data Center (MassNZ) — an experimental, solar-powered, micro data center that is the first of its kind in New England, with a ribbon cutting on Friday Feb 26 2016 at the MGHPCC facility. The MassNZ and MGHPCC facilities will work in collaboration with Holyoke Gas and Electric (HG&E), the municipally-owned utility that serves the City of Holyoke. 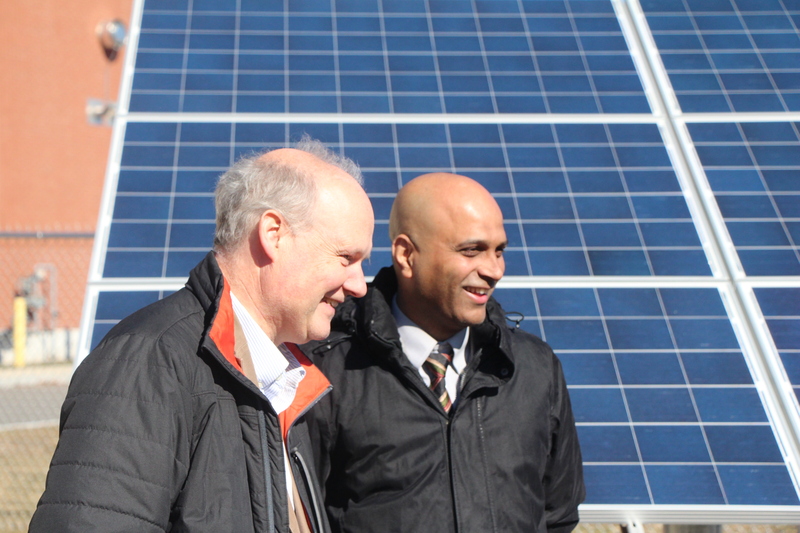 The principal investigators for MassNZ are Christopher Hill, Principal Research Engineer and Director of Research Computing at the Massachusetts Institute of Technology, and Professor Prashant Shenoy of the UMass Amherst College of Information and Computer Sciences. HG&E’s participation in MassNZ is part of a distributed energy storage demonstration project undertaken in partnership with Boston-based startup Sparkplug Power. MassNZ is an extension of the Engaging-1 project, an initiative by the MGHPCC founding universities, led by Christopher Hill, that started with a $1.6M National Science Foundation (NSF) grant for a shared computing resource and has grown to support collaborations involving hundreds of researchers and students at MGHPCC founding members Boston University, the Massachusetts Institute of Technology, Northeastern University, UMass and other institutions. The 200-square-foot MassNZ micro data center is located adjacent to the MGHPCC, a 15 megawatt, LEED Platinum data center. Solar panels located next to the micro facility provide power. Inside it are renewable cooling systems as well as batteries and micro-flywheels for energy storage. MassNZ will also house a variety of different server, storage and network systems. Both MassNZ and the MGHPCC will generate power, cooling and workload data that will be used by researchers to investigate data center integration with a smart electric grid; machine learning-based, data-driven modeling of sustainable data centers; and the design of High Performance Computing applications that exploit novel power-management techniques. MassNZ is spurring a number of research collaborations that hope to utilize and extend its goals, in partnership with Boston University, Northeastern University and Williams College. “MassNZ is a great example of the kind of collaboration that the founding MGHPCC universities envisioned” said MGHPCC Executive Director John Goodhue. “It also expands the ability of the MGHPCC to serve as a living laboratory for research in sustainable data center design. Partial funding for the MassNZ testbed was provided by a MGHPCC seed grant and a grant from the NSF. 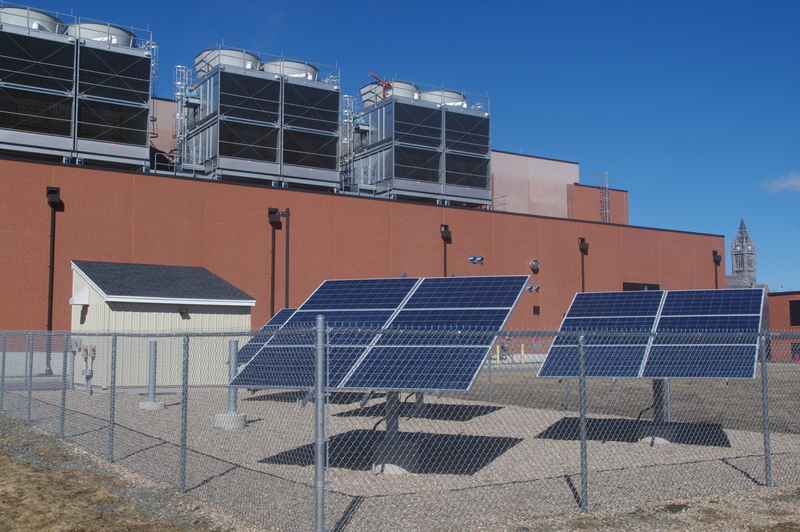 The HG&E distributed energy storage demonstration project is supported by grants from the American Public Power Association and the Massachusetts Clean Energy Center. This work is partially supported by the National Science Foundation under Grant No. 1538918. Any opinions, findings, and conclusions or recommendations expressed in this material are those of the principal investigators and do not necessarily reflect the views of the National Science Foundation. Previous PostA Bright FutureNext PostGot Game!